As DUI attorneys, we know that for years now, the National Highway Traffic Safety Administration has been collaborating with the Automotive Coalition for Traffic Safety on a program to develop an alcohol detection system. The alcohol detection system will not be available for the next 5 to 8 years at least. However, tests have revealed that the device is definitely more accurate than the breathalyzer devices that are installed in many cars in Colorado, as part of the ignition interlock program. In Colorado, some DUI offenders who are convicted of certain types of DUI offenses may be eligible to have an alcohol detection device, installed in all of their vehicles. The device acts as a breathalyzer, and measures the alcohol concentration in a person’s system, and if the alcohol amount is above a certain limit, the detection device will shut the engine down, preventing motorists from driving. 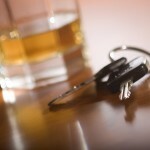 If you have been arrested for DUI, call a DUI defense lawyer in Leadville. However, the Driver Alcohol Detection System for Safety which is currently being developed by the National Highway Traffic Safety Administration and the Automotive Coalition for Traffic Safety has much higher accuracy levels than the ignition interlock device. It would not require breath samples to determine blood alcohol concentration. It simply uses infrared technology to measure the motorist’s blood alcohol concentration, to determine his level of intoxication. If his BAC is.08% or above, the device will prevent him from starting the car. The laws in some states like New York are different, so it is advised to consult with a New York DWI lawyer. Until the device becomes available however, motorists in Leadville simply need to be more cautious about avoiding driving after a few alcoholic beverages. For assistance after a DUI arrest, call a DUI defense lawyer in Leadville.